St. Joseph’s Prep continued to roll through a tough schedule out east, this time beating a strong St. Peter’s team that had been wreaking havoc in NJ. As their most consistent defensive player, Cobaugh once again stepped up when it mattered, pestering St. Peter’s quarterback Maasai Maynor to the tune of three sacks, which helped secure the tight 28-21 win. 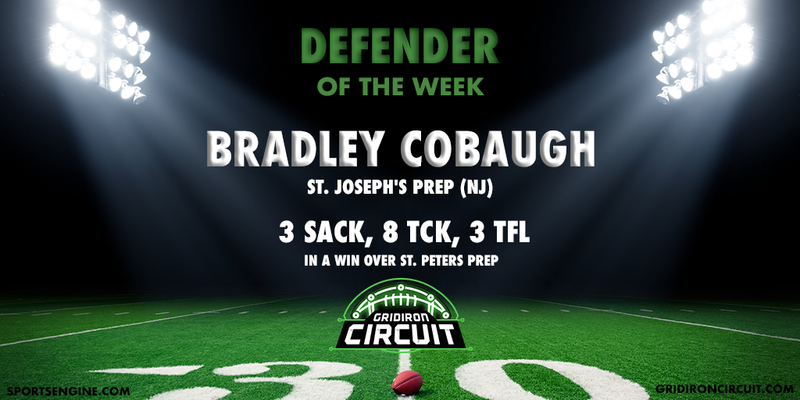 Cobaugh is an integral part of St. Joseph’s run through the private school ranks.